Nature Scents cat litter just may have changed my mind about scented cat litter. I’m usually opposed to scented cat litter. I guess you could say that I’d dismissed it as the equivalent of spraying on a cloud of Axe instead of taking a shower—a cheap and ineffective substitute for actual cleanliness and hygiene. And what’s more, you’re hurting those around you. 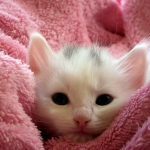 Cats are sensitive creatures and what might seem like a hint of perfume to you could overwhelm your cat. It’s not uncommon for cats to have sensitive skin, either, and scented litter can irritate delicate kitty paws. Some cats are so put off by scented litters that they choose to stop using the litter box altogether — not good. Knowing this, I opt for products that are either fragrance-free or very lightly scented. Litters that include “gag-inducing-perfume-scent” as part of their marketing are strictly avoided. I’m convinced that these litters were created purely for scoop-avoidant humans with weak olfactory receptors. So when I learned about the Nature Scents cat litter line, I had mixed feelings. The litter is available in four “mild scents for a cat’s sensitive nose”: pine, lavender, cedar, and mint. While those may be super-appealing fragrances to me, natural scents are still scents. Would they really be subtle enough for sensitive cats? Everything else about the Nature Scents litter sounded great. It’s all-natural, chemical-free, biodegradable, and made from repurposed wood. On paper, it reminded me of the wood pellet horse bedding which we tried as a litter substitute. One problem we had with the wood pellets was texture — the pellets were just too big and uncomfortable for the cats to walk on. It would be interesting to see how the Nature Scents cat litter compared texturally. We were given the opportunity to try out a few bags of the lavender-scented litter. As usual, we were excited (and maybe a little nervous) to see what this new litter was all about and how the cats would respond. 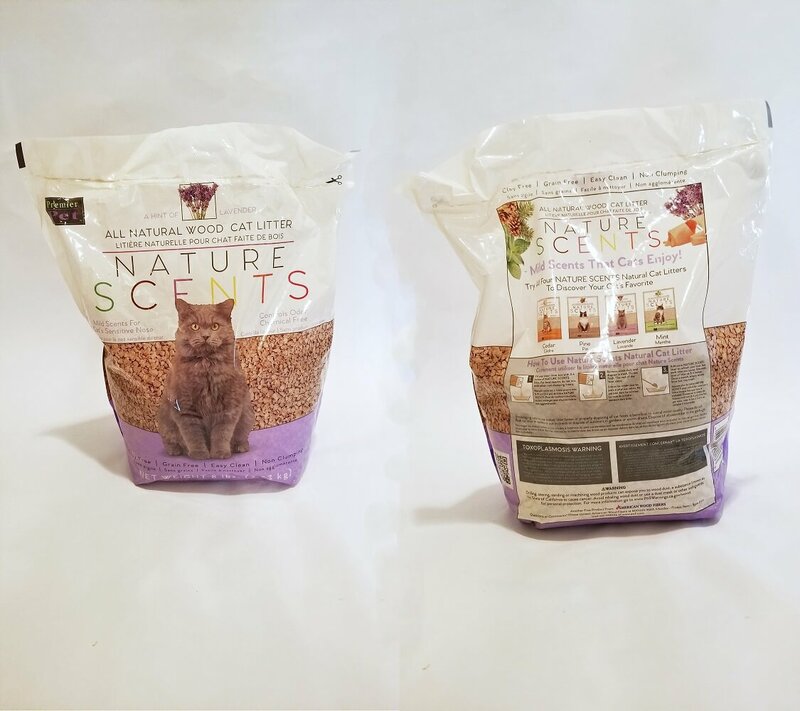 If you want to skip straight to our review of Nature Scents Wood Cat Litter, click here. Let’s learn about the company behind Nature Scents Cat Litter: American Wood Fibers. American Wood Fibers was founded by Frank and Jody Faehner in 1966. The Faehners’ passion for the environment was obvious in their new company. Since its beginning, AWF has been focused on sustainability and eco-friendly practices. In alignment with the company’s commitment to “total wood waste utilization”, they use wood particles to produce almost any product you could imagine. Today, AWF is the world’s largest producer of wood shavings and sells a broad range of products for a variety of markets. No other company creates such a wide selection of recycled and upcycled wood fiber products. 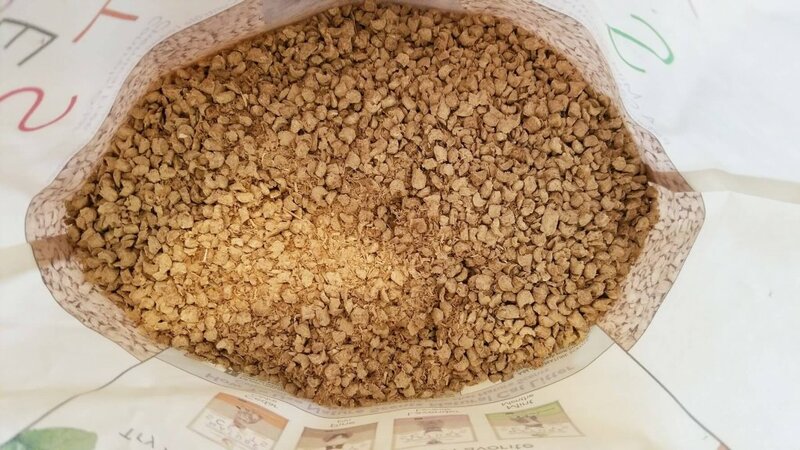 American Wood Fibers sells pet bedding, grilling pellets, potting soil, wood kindling — and now cat litter. Cat-friendliness. Litter is worthless if the cats refuse to use it, so this is a big one. 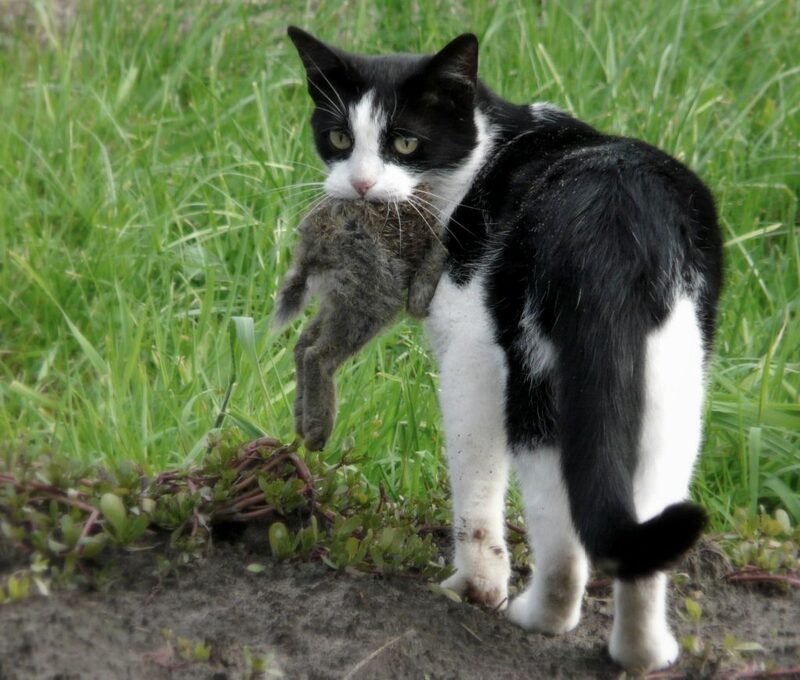 We also look for litter that’s safe and healthy for cats. Low or no dust. 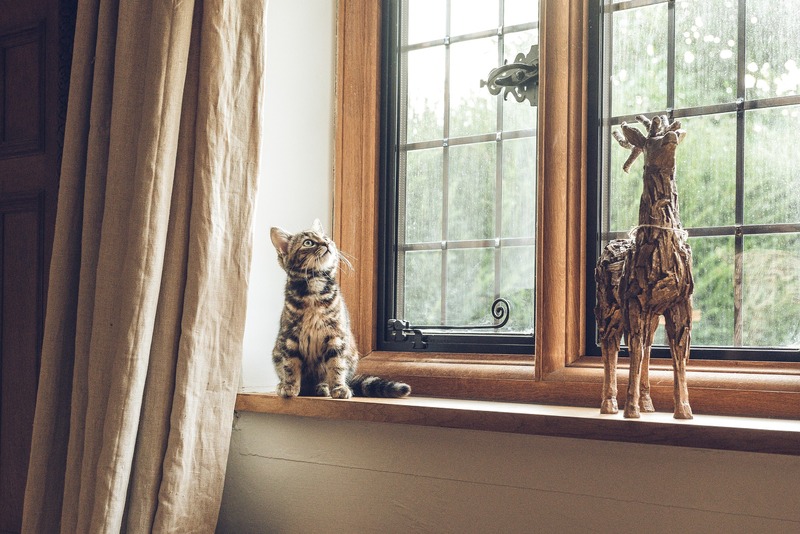 Dusty litter puts both your and your cat’s lungs at risk. Effective odor control. Can we say essential? 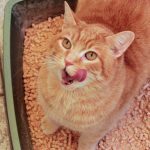 Your cat needs a fresh litter box just as much as you do. Minimal tracking. Some litter tends to stick on your cat’s paws and go tracking across the house. We prefer ones that don’t. Low maintenance. Some litter demands more maintenance than others. We prefer the ones that make life simpler. Affordability. There’s no need to spend a lot of money on your cat’s litter. Affordable and effective litters do exist. Nature Scents cat litter comes in 8-lb bags, so it’s perfect for people with back problems or who have trouble lifting heavy objects. One bag served us for about 2 weeks with two cats. With our criteria for a great cat litter in mind, we opened up our first bag. The first thing I noticed was the lavender scent — a pleasantly subtle fragrance which mingled with the natural wood scent of the litter. The texture was unlike your typical pine pellets. It was similar in texture to Okocat’s clumping wood litter with a combination of small chipped pellets and sawdust. Note, however, that Nature Scents cat litter is not a clumping litter. Sure the litter looked good from the outside, but the real test was still waiting. It was time to pour the litter into the box and let the cats loose on it. The first question we ask when pouring in a new cat litter is: is the litter dust-free? We don’t want a litter which leaves us choking. Remember that we said the litter is made up of pellets and sawdust? As you can imagine, that isn’t a dust-free combination. The sawdust takes to the air as you pour, and leaves your ankles in a cloud of dust. So no, the litter is not dust-free. Unlike some dusty litters which claim to be “99% dust-free” on the package, there is no mention of dust on the Nature Scents litter packaging. We’ll give them some points for honesty. That said, I didn’t notice any dustiness around the litter box after the initial pour. 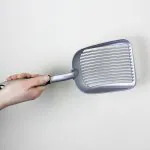 When sweeping and scooping, the air felt fresh and clean. That fresh air feeling is one of my favorite things about plant-based litter in general, and Nature Scents definitely delivers. An important thing to remember is that clay or silica gel litter may be the best choice for allergic cats. 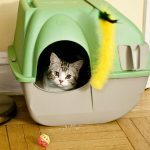 Organic compounds are allergenic, so it’s important to choose a litter that’s safe for your cat. Watch yours carefully to ensure that the new litter isn’t irritating them. What did the cats think of Nature Scents cat litter? Wessie and Forest used the Nature Scents litter without hesitation. They didn’t seem bothered by the smell at all. I like to think that the Nature Scent’s lavender fragrance brought Wessie back to this moment. They also appeared to have no problem with the texture of the litter, which wasn’t a surprise since the Nature Scents litter’s texture isn’t that far off from a non-clumping clay litter. It’s not extremely fine, but it’s a long ways off from a traditional wood pellet litter. Does Nature Scents cat litter track or scatter? This was the part that surprised me the most. Nothing about this litter screams “low tracking”, but for some reason, this was the lowest-tracking litter I’ve ever used. Maybe Nature Scents just isn’t as fun to fling out of the litter box as other litters? Whatever it is, the Nature Scents litter performed beyond my expectations here. Most other litter ends up on the rug around the litter box and some of the worst offenders track across the house, but this litter stayed mysteriously close to the litter box. There were few scattered bits around the litter box, but the mess was nothing compared to past experiences. That’s a good thing. Does Nature Scents cat litter have good odor control? Yes. The odor control was phenomenal and, honestly, I might be a convert to Nature Scents for this one reason. Like I mentioned, I didn’t expect to like a scented litter, but… you open up the bag and detect this beautiful, natural, subtle smell. The lavender mingles with the wood and, if you’re like me and enjoy the smell of lavender, it’s fantastic. I would love to try the mint scent too, someday — most cats like mint and Wessie loves rolling around in the wild mint which grows in our yard. I think it would be a big hit (although maybe a little messy if they love it too much!). At the risk of sounding like a crazed Nature Scents fangirl, I’m going to share a story with you about just how much I loved the scent. The litter box is located near the front door of the house, and one day I was putting my key in the lock and noticed this fantastic fragrance. Then I remembered the Nature Scents litter. Nothing like the smell of cat litter wafting through the front door when you come home, right? Yep. This cat litter is like a subtle air-freshener, but it’s also not perfumey. Now for the downside: if you forget to stir the litter box daily, you’ll have some nose-piercing ammonia smells. So don’t forget to do your job—scoop out the feces and stir in the urine every day. It’s similar to caring for silica gel cat litter and is an effective means of neutralizing odors. The two cats were able to use a single box of litter for 10 days before we noticed any ammonia smells whatsoever. When we noticed those smells, we dumped out some of the soaked litter, added fresh litter, stirred it up, and went another week before discarding all the contents. Your mileage will vary based on the number of boxes you provide, how much your cats use them, and the number of cats you have. 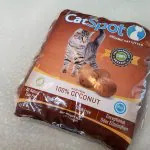 If you’ve always used clumping clay cat litter, you’re accustomed to scooping out clumped feces and urine every day, tossing the waste in the trash, and replacing the contents of the litter box every month or so. While Nature Scents doesn’t work the same way, it’s no more difficult to maintain. It’s recommended that you fill a clean litter box with 3-4 inches of Nature Scents litter. Every day, use your litter scoop to pick out solid waste and dump it in the trash, letting the rest of the litter remain in the box. After you’ve scooped out the solids, it’s important to stir up the litter to encourage liquid and odor absorption. Stirring helps the litter box to stay clean for a longer time. The pellets will disintegrate and fluff up as they absorb moisture. 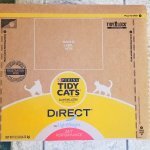 You can scoop off some of the fluffy sawdust and top off the box with fresh litter. By introducing fresh litter, you’re adding more absorbent material and extending the life of the litter. It’s a non-clumping litter and it’s scented. For a lot of cat guardians, those are hard qualities to accept. I thought they might be problems, too. 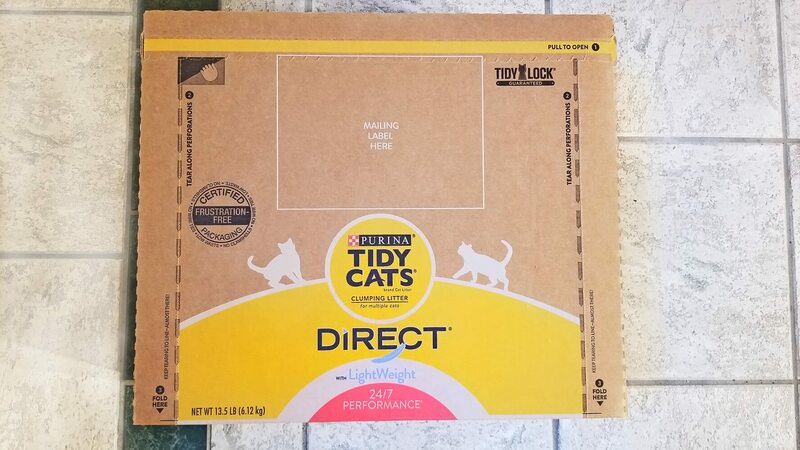 After using this litter for several weeks and seeing how well it controls odors—it makes the room feel fresher than it did without a litter box in it—and knowing that neither humans nor cats have a problem with the light scent, I am so sold on Nature Scents cat litter. Nature Scents doesn’t just have excellent performance going for it. It’s also an eco-friendly choice. Nature Scents cat litter utilizes byproducts from wood processing that might otherwise go to waste. It’s also biodegradable and chemical-free. 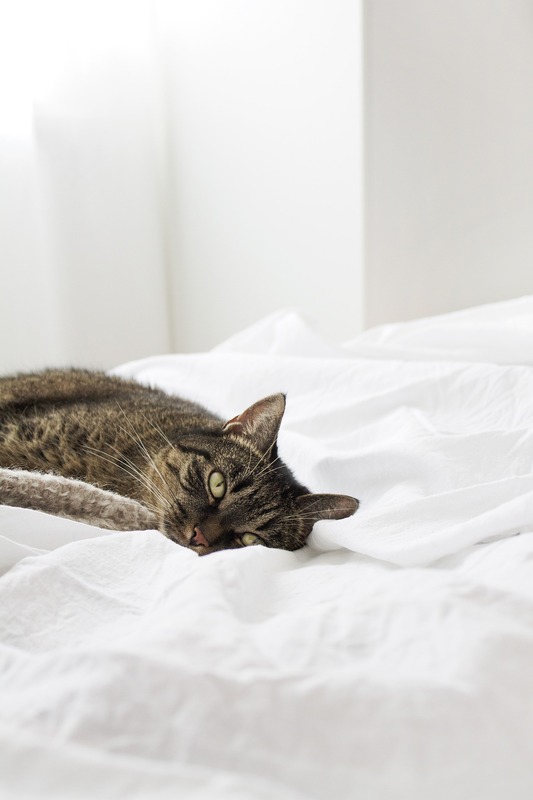 If you and your cats like the absorbency, odor control, and fresh feeling of Feline Pine and other wood cat litter products, but don’t like pellet-style litter, you’ll probably love Nature Scents cat litter. 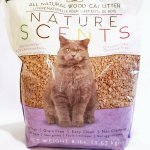 Where can I buy American Wood Fibers Nature Scents Cat Litter? 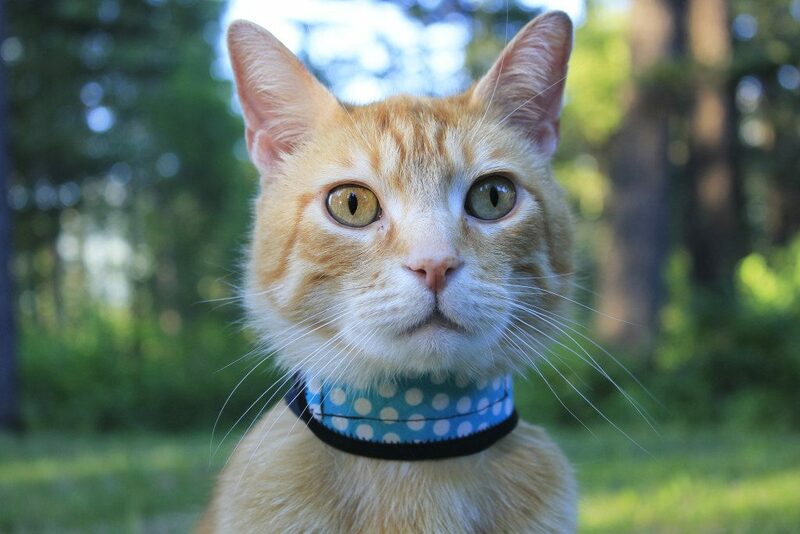 If you recently discovered an awesome new product which you and your cat love, or want to learn more about, please contact us! We’d love to write about it! ← Allergy Medicine for Cats: What Can I Give My Cat for Allergies?